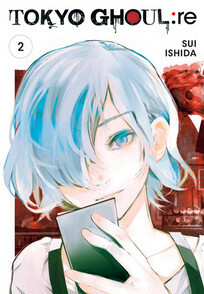 Haise Sasaki is in charge of turning the unruly members of the Qs Squad into an elite counter-Ghoul unit. But with everything to prove, will his team bite off more than they can chew when they start investigating the mysterious organization Aogiri Tree? And can Haise be the mentor they need when his forgotten past could come back to haunt him at any moment? Story and art by Sui Ishida.